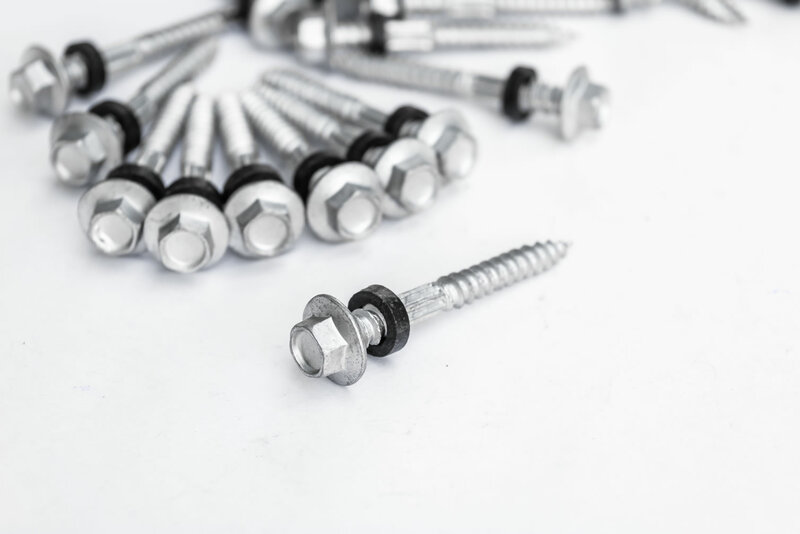 Glazing Accessories for the greenhouse include specialized self-drilling screws with bonded sealing washers to attach the coverings to the frame and bulb rivets and lap screws with bonded sealing washers to seal corrugated coverings between roof purlins and wall girts. Closure stripping must be made of material that is compatible with the coverings, or a damaging reaction could occur. Likewise, caulks must be carefully chosen to prevent damage to some polycarbonate coverings. A quick look at some different fasteners and closure strips for corrugated coverings is attached. For twinwalled polycarbonate see page titled "PC8 Glazing System".